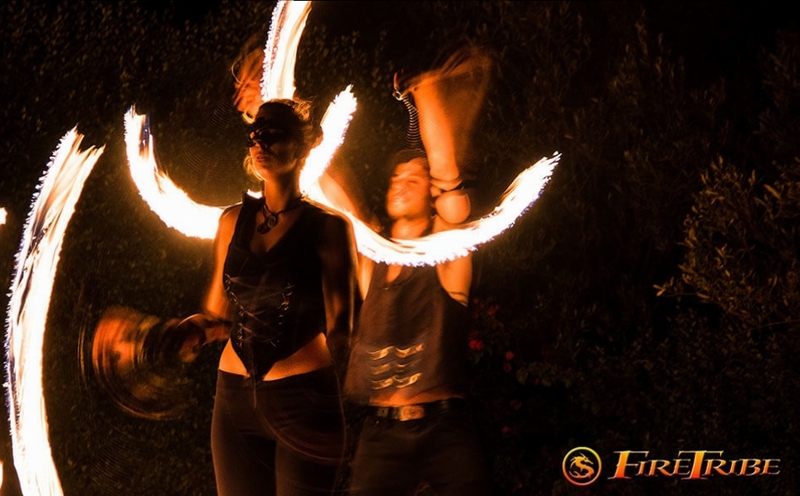 FireTribe is a South African fire dancing troupe with many years of professional experience. 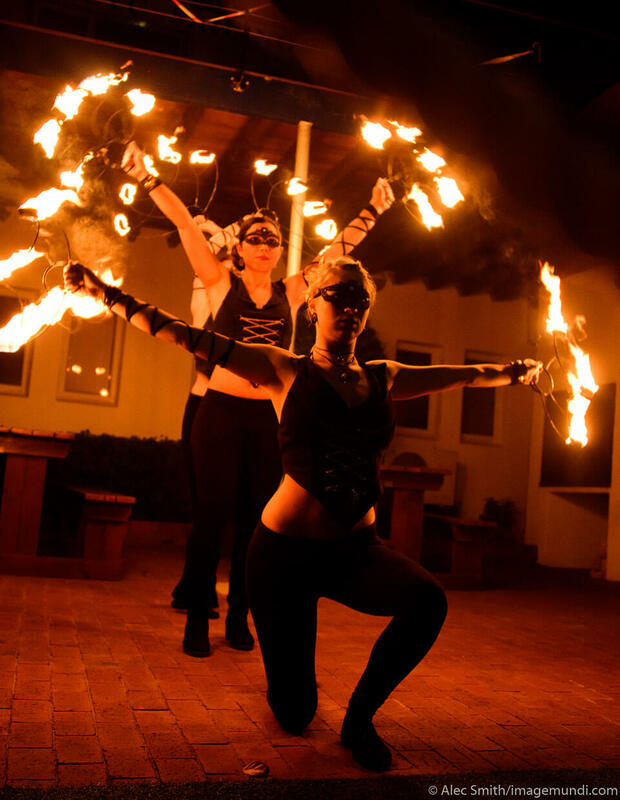 We provide fire dancing performances that are an outstanding form of event entertainment for functions and special occasions. 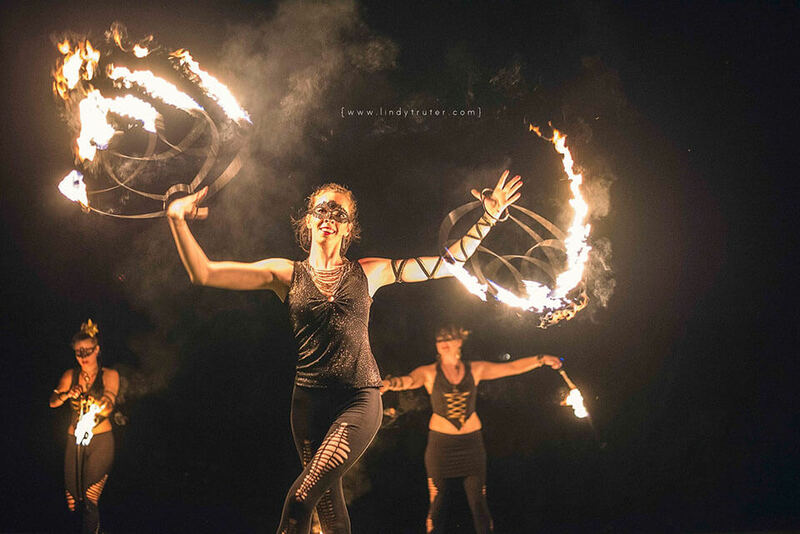 We are an incredibly versatile team who enjoy creating custom fire shows for any type of event; from intimate wedding celebrations to grand scale stadium performances. 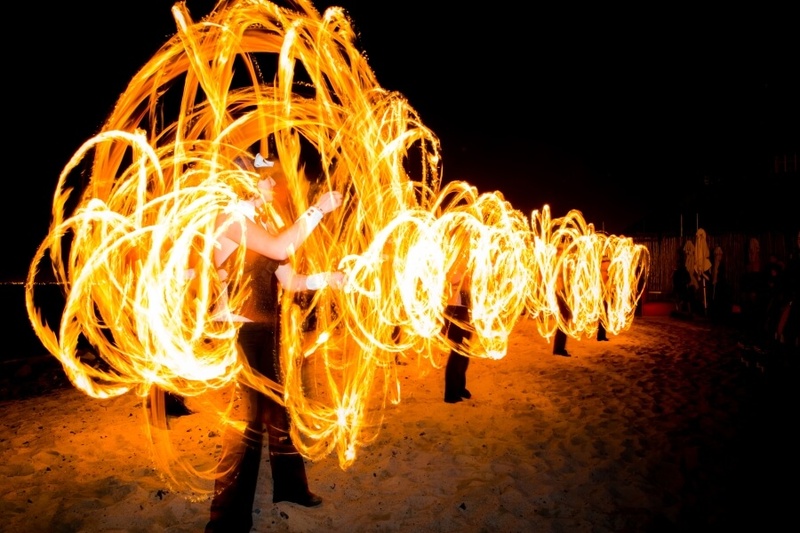 We pride ourselves in our group choreographed shows that set us apart from our competitors. 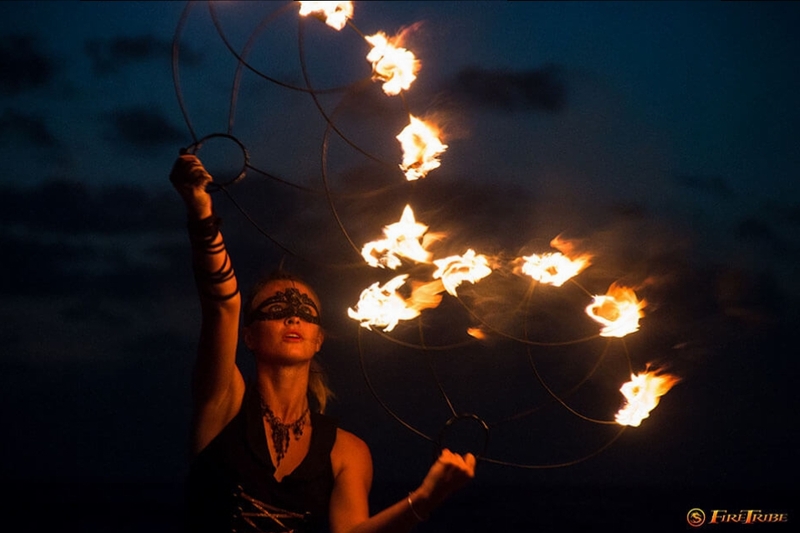 These shows are a mesmerising display of synchronised fire dancing set to music that captivates and inspires our audiences. 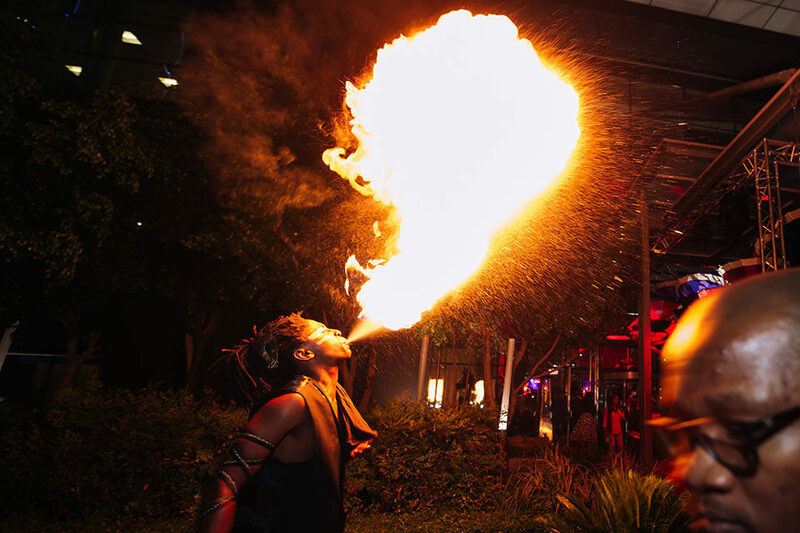 To choose the perfect fire performance for your next event have a look at the event and performance options below. Entertaining your guests has never been easier or more rewarding. 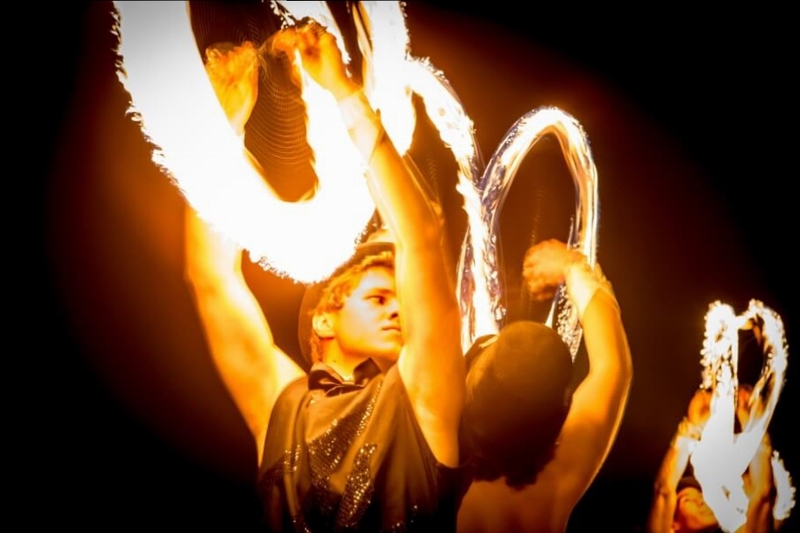 FireTribe offers professional and exciting fire shows that promise to impress any audience. 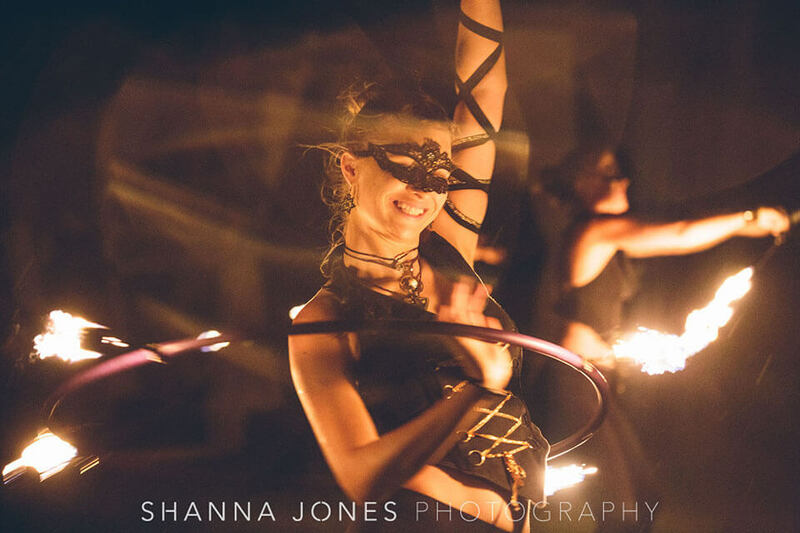 Each show can be tailored to suit any type of event or venue and we also offer Poi Workshops as team building or fun day activities for staff members. Our dramatic, 20 minute long Choreographed Fire Show is a spectacular display of non-stop fire dancing that’s set to high energy contemporary music. 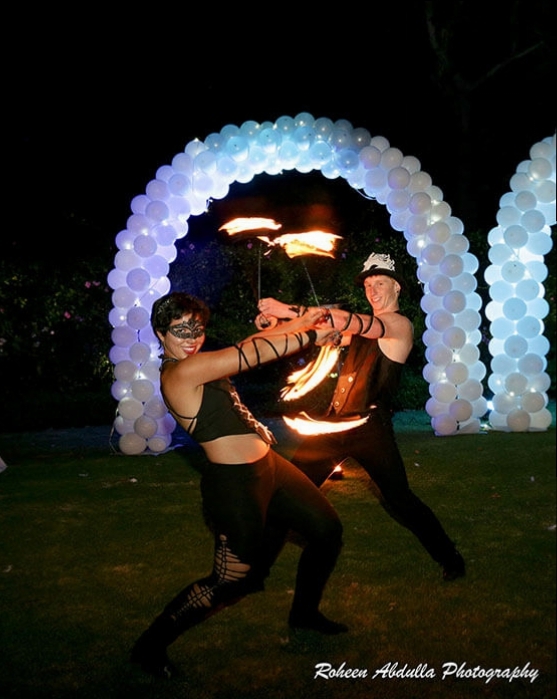 Performed by up to 12 dancers this stage-based show is a sure-fire way to leave your guests with long lasting memories of your event (pun totally intended). 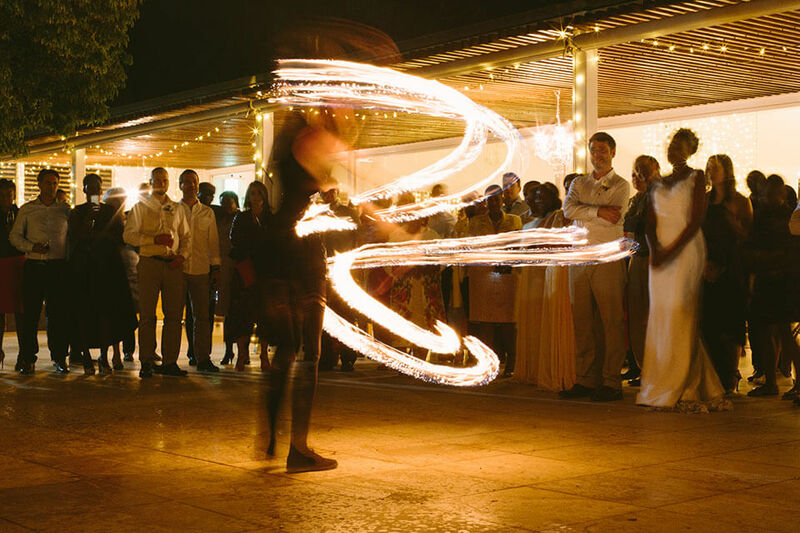 Alternatively, our Freestyle Fire Dancers can help you set the right atmosphere for your event by mingling with your guests as they arrive at your venue. 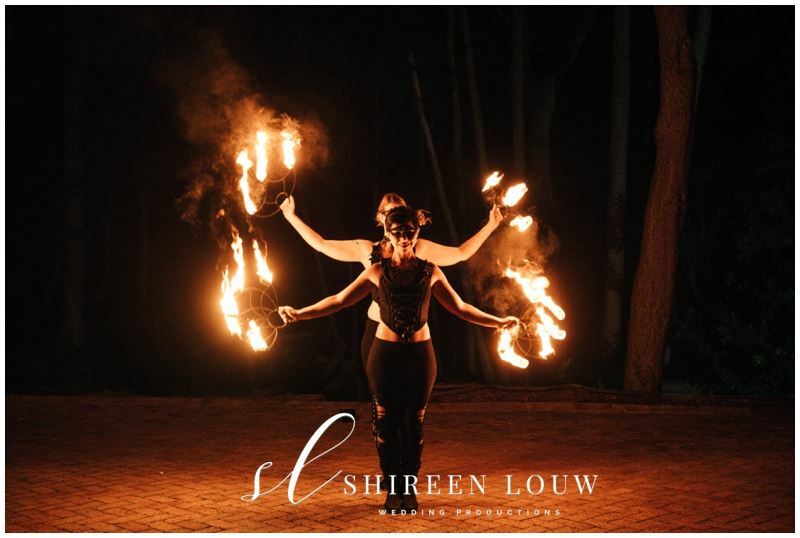 Don’t hesitate to contact us to book amazing fire performances that your guests will surely remember. 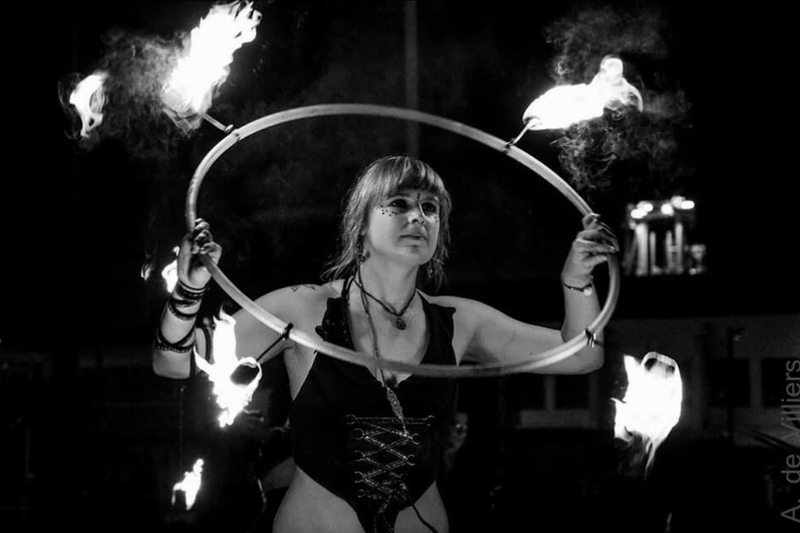 We offer two basic performance types, as well several fiery extras for you to choose from. 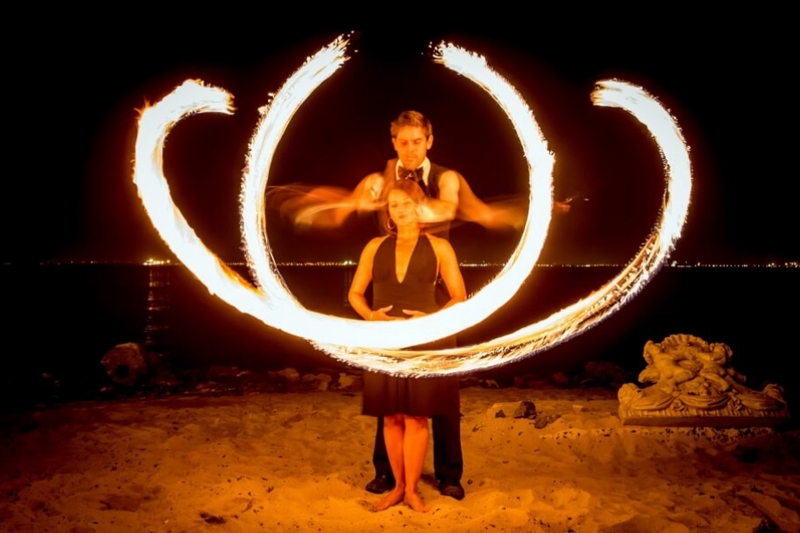 These can be added to any performance, or booked as stand-alone entertainment. 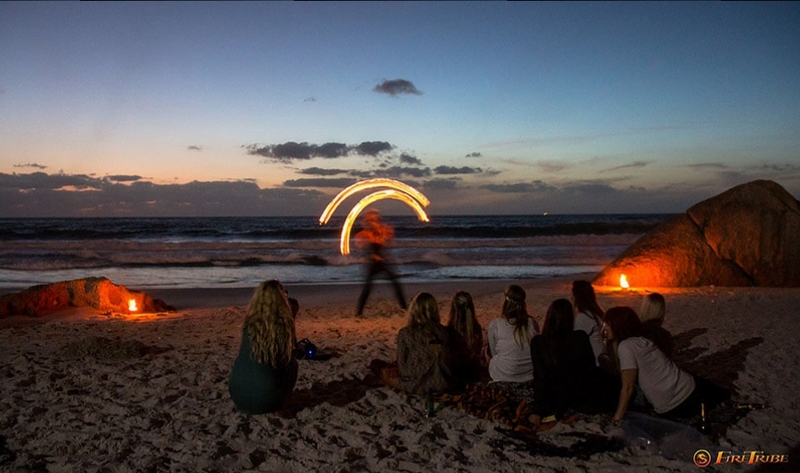 The freestyle performance option is the perfect choice if you are looking for ambient background entertainment. The number of dancers can range from one dancer to as many as you would like. This option is perfect for meet and greets or the arrival of guests. 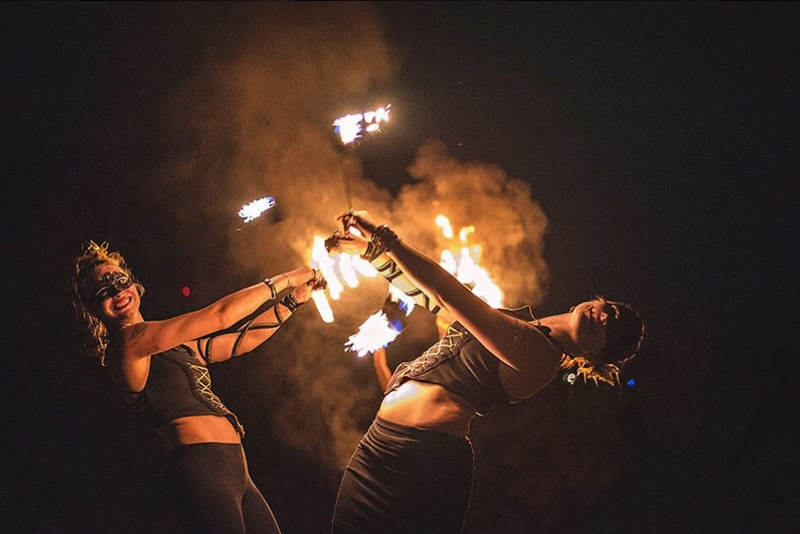 Dancers relay off each other for as long as is required to create an atmospheric backdrop to your event. Our most popular option, the choreographed group performance, is 15 minutes long and is set to a mix of music. It could have as many as 12 or as few as 2 dancers. 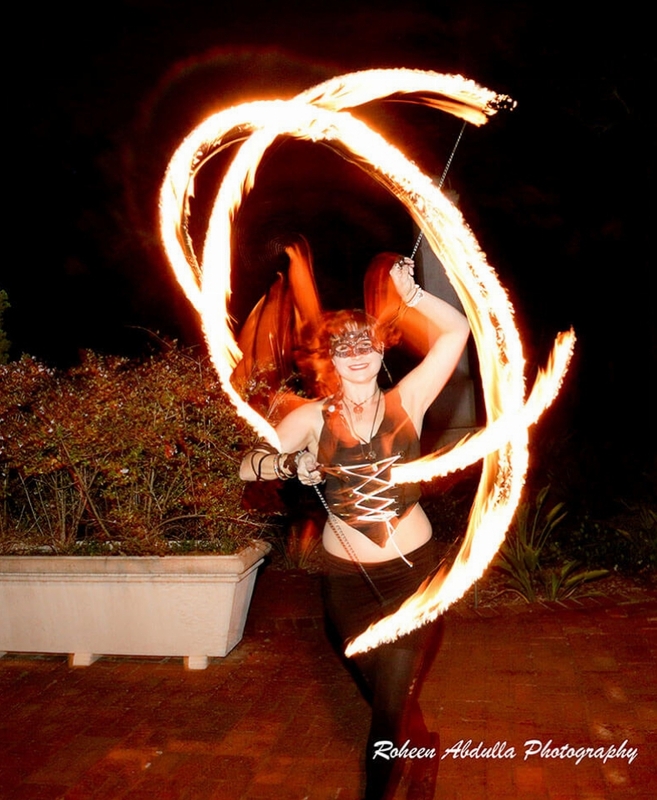 Our fire dancing is attention grabbing, involves non-stop fire and displays a range of different props and skills. 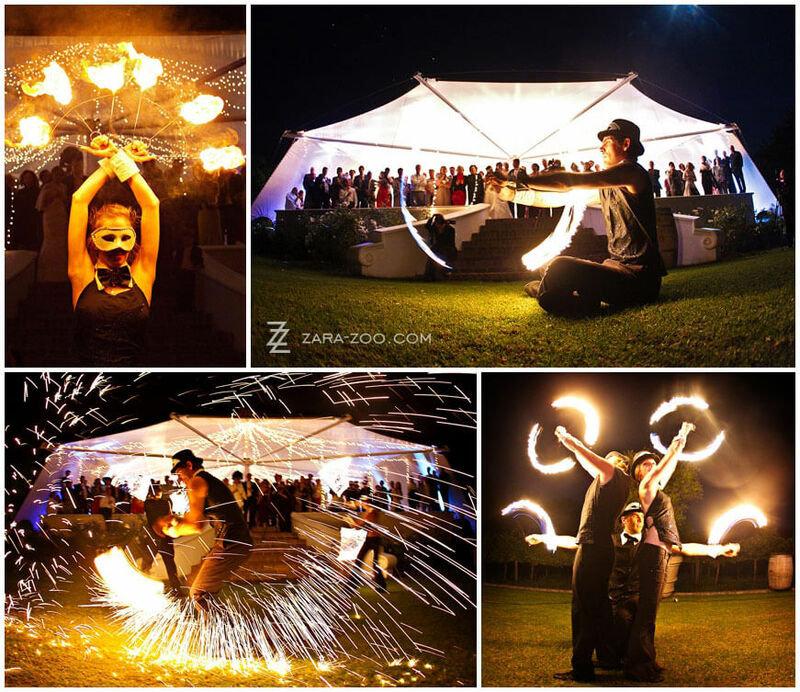 It is ideal for the introduction or finale to your event. Our rates for both of these shows are charged per dancer, per hour or part thereof. This allows us to customise a show that not only suits your available space, but also your budget and your unique requirements. 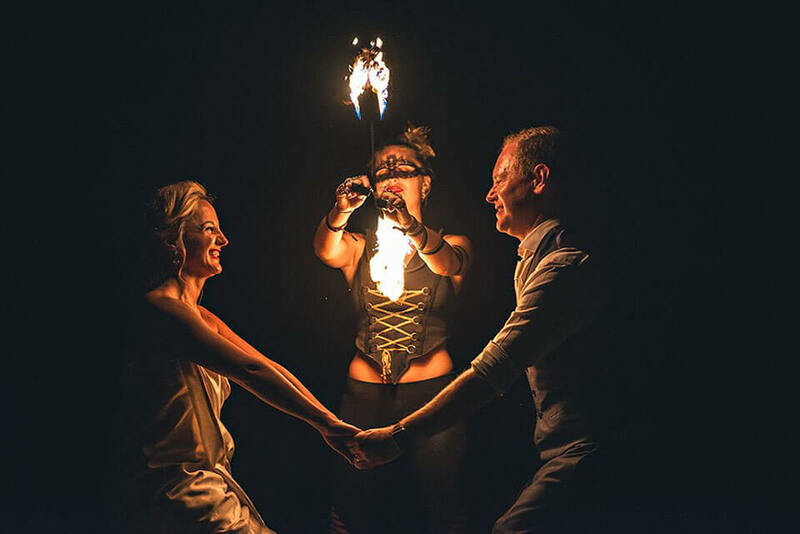 This unique ceremony of fire is perfect for newly-wed couples or special birthday boys or girls. 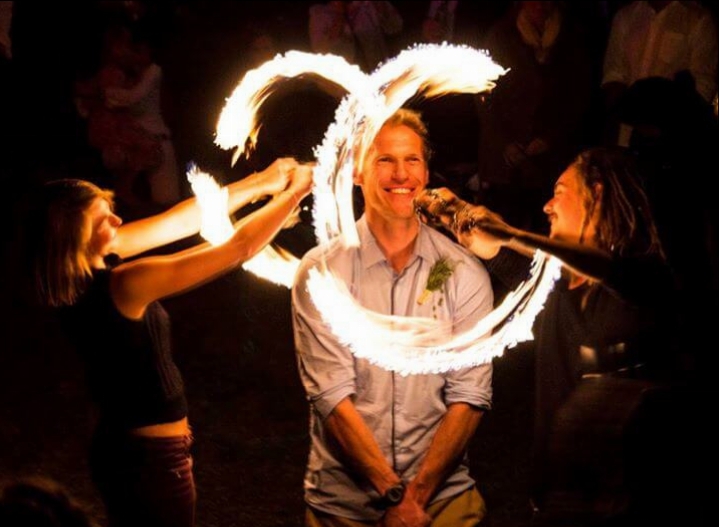 Performed in front of your guests, this amazing photo opportunity allows someone to be directly involved in the fire performance as circles of fire are spun around them. 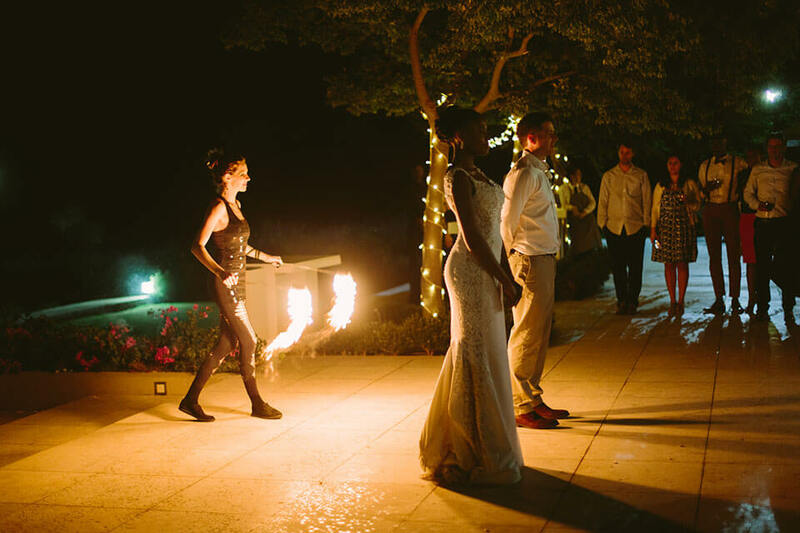 For newly-weds, the wonderful symbolism of fire is explained and used to create a one-of-a-kind romantic experience. This option is charged at a flat rate. 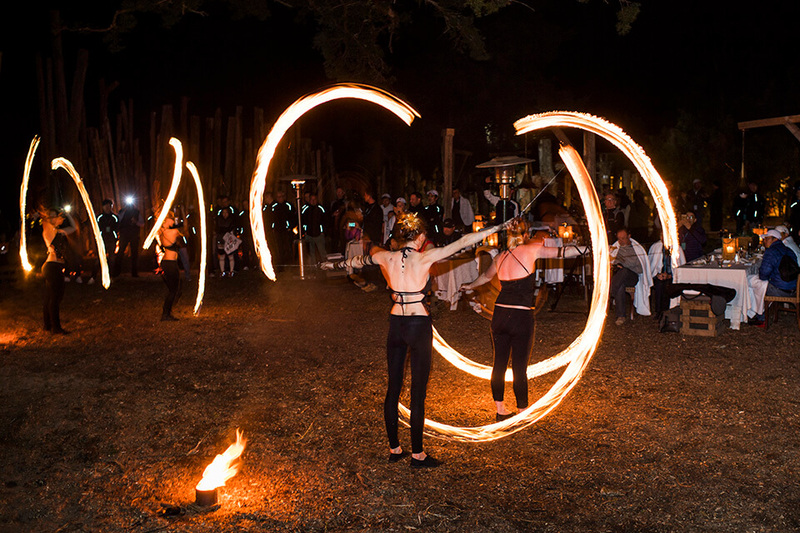 After the main show, the audience is invited to pose (individually or as a group) with the fire dancers and their fire. This is another amazing photo opportunity! This option is charged at a flat rate. 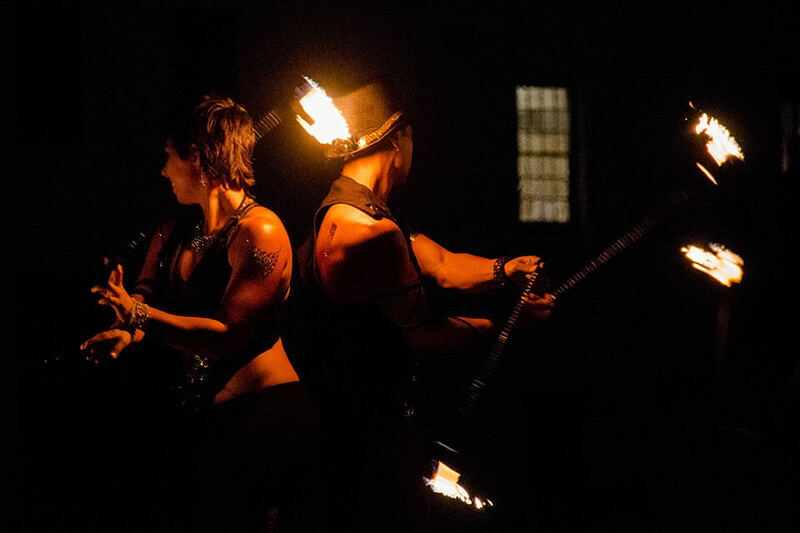 After the performance, our dancers hand out giant sparklers that the guests can light directly from the burning fire toys. 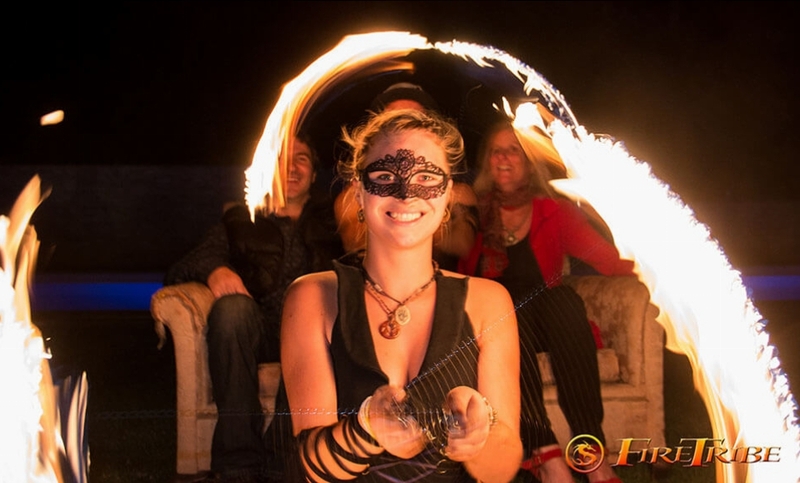 This is a great way for the guests to interact with the dancers up close and experience a bit of (safe) fire in their own hands. This option is charged per person. 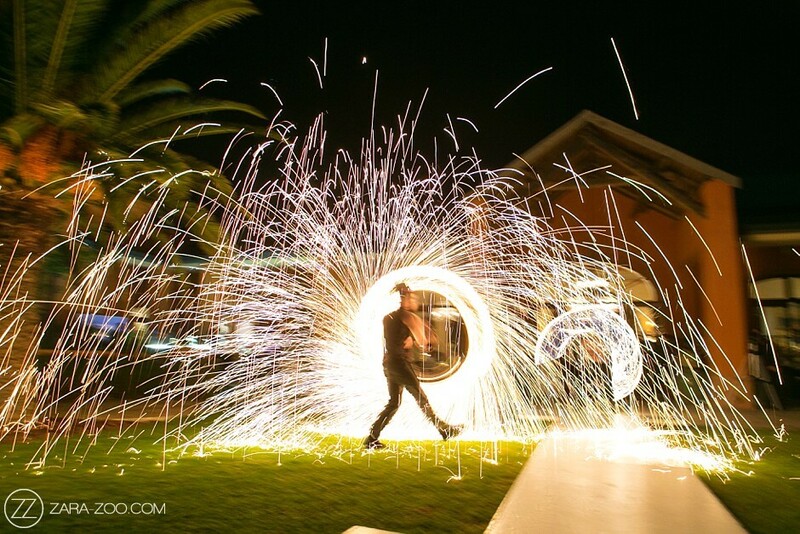 Our custom made fire sculptures are the perfect way for you to really put your name in giant, fiery lights. 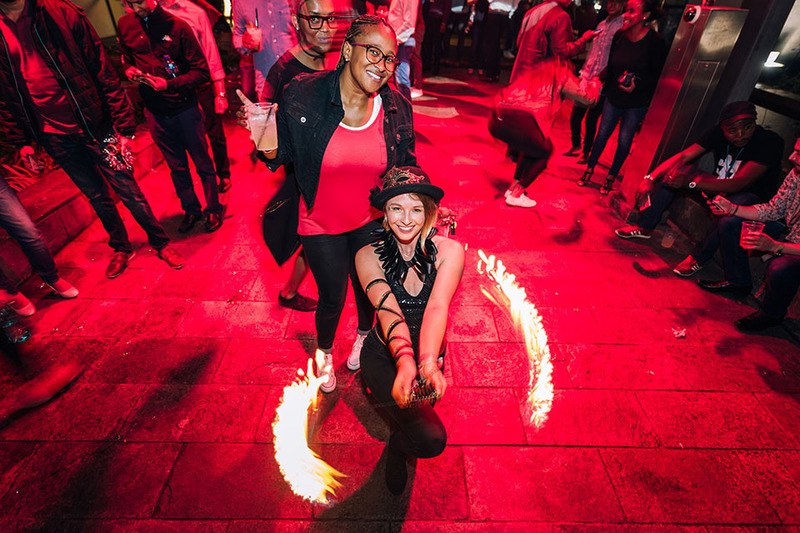 Each letter or symbol is made to be 1m tall, meaning your flaming initials or your blazing company logo will be the cherry on top of a dramatic pyrotechnic performance. This option is charged per letter or symbol.